07807 071796 info@skybluelofts.co.uk Attention to detail, clean, timely and no hidden surprises. We understand why George Clarke suggests this for the new room in your roof. Our skilled carpenters have years of experience in converting attics and one of the most difficult decisions our clients face is what furniture will be able to go where!? Taking up no extra space, underfloor heating allows you to utilise every wall space. Think of the extra statement pieces of furniture you can have, window seating or possibly even a cinema size TV! 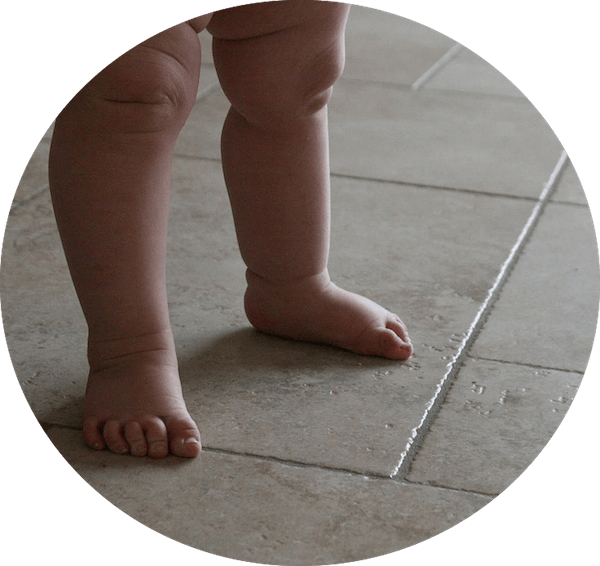 Underfloor heating also allows you to opt for hard flooring. Natural slate, luxury vinyl or ceramic tiles all look fantastic in a new top floor bathroom. However, you won’t have toasty toes without the ability to warm the floor. Wet: A boiler or heat pump, pushes warm water through copper pipes that heat up the entire floor surface. Electric: A roll of heating elements is fixed down, usually with its own sticky backed system. Screed can then be laid on top prior to the flooring of your choice being fitted. The heat that rises not only warms up the floor but the surrounding air also. A heated floor adds a luxurious element to your brand new loft conversion. You won’t experience entering a room filled with cold air, especially if you have opted for an independent heating system can be remotely operated from your mobile. 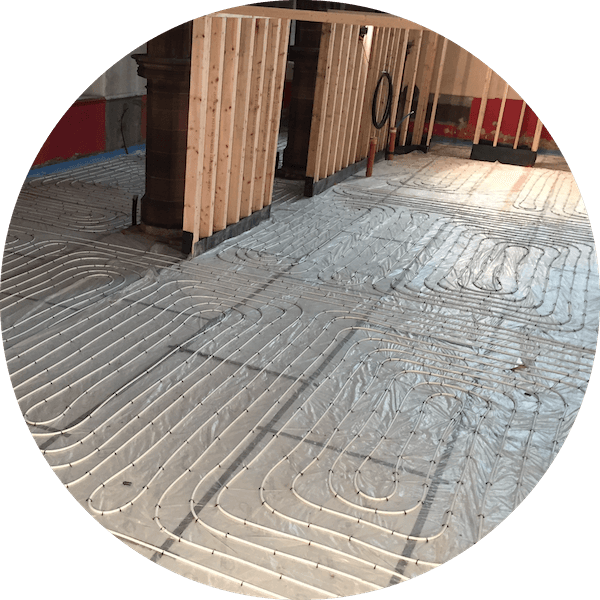 Sky Blue Lofts use their skills, experience and knowledge to give you advice on choosing the right underfloor heating system for your attic. I consent to Sky Blue Lofts collecting my details through this form.